Mute Swans are large, white, and decorative, and as such their natural range has been significantly altered by humans who generally enjoy having them around. Its natural range in Europe was restricted to the surroundings of the Baltic Sea and the Black Sea, and in Asia it ranged from Asia Minor to central China. 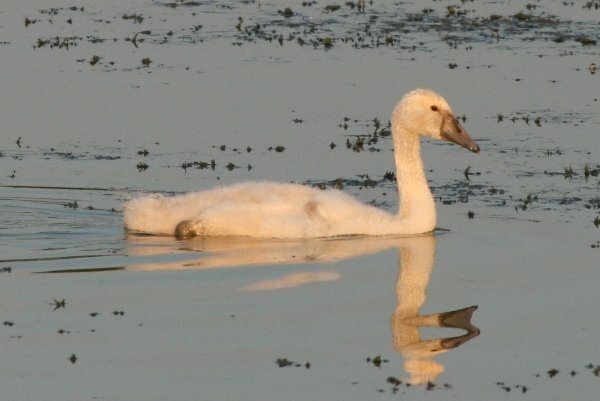 Within its European range, it was heavily hunted until the late 19th century, and the Mute Swan was subsequently a very rare bird to encounter in the wild. Contradicting this relentless shooting were efforts to establish feral populations in many regions of Europe, both within and outside its natural range. Starting in the 16th century, the species was released widely on ponds and parks and rivers throughout Europe where it flourished remarkably and continues to do so to this very day. Evidently, kayaking was not a popular sport in those times. 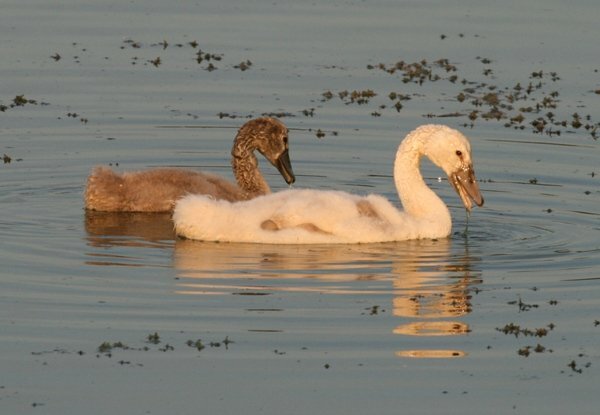 Possibly as a result of the releases and continued human interference with these feral populations, the Mute Swan occurs in two colour morphs whose difference is most pronounced in young birds: while “ordinary” baby Mute Swans are dull greyish brown, the morph “immutabilis” is purely white, and also shows paler bare parts. 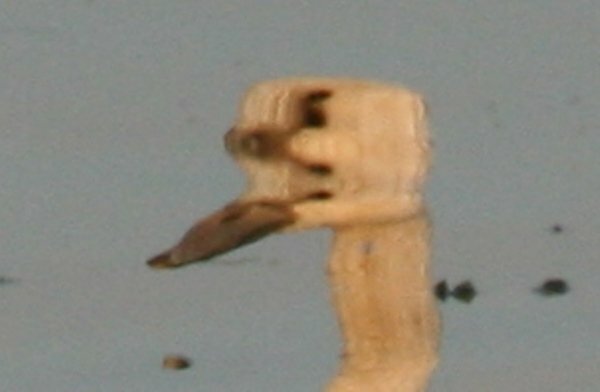 The generally paler bare parts identify “immutabilis” Mute Swans even in adult plumage, when they are otherwise indistinguishable from their normal cousins. 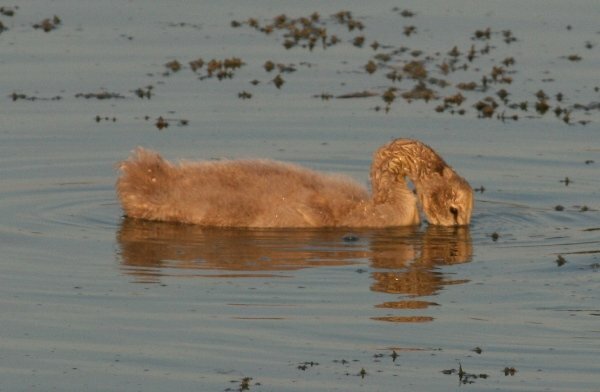 The paleness of “immutabilis” is caused by a lack of melanin and is most commonly found in eastern Europe (hence its alternative name “Polish morph”) and in Mute Swans that were introduced to North America. Furthermore, it is more frequent in females than in males. It is very likely that the white morph was directly promoted in captive breeding and favoured in releases to establish feral populations. This was done because white babies are so much cuter, but also because skins of baby Mute Swans were once traded, and white skins ensured more revenue. So much for the blessings of beauty. 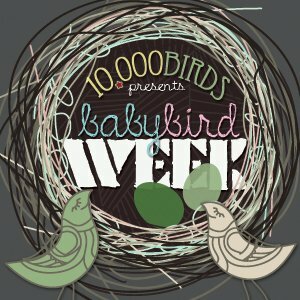 Now, enjoy the pictures.